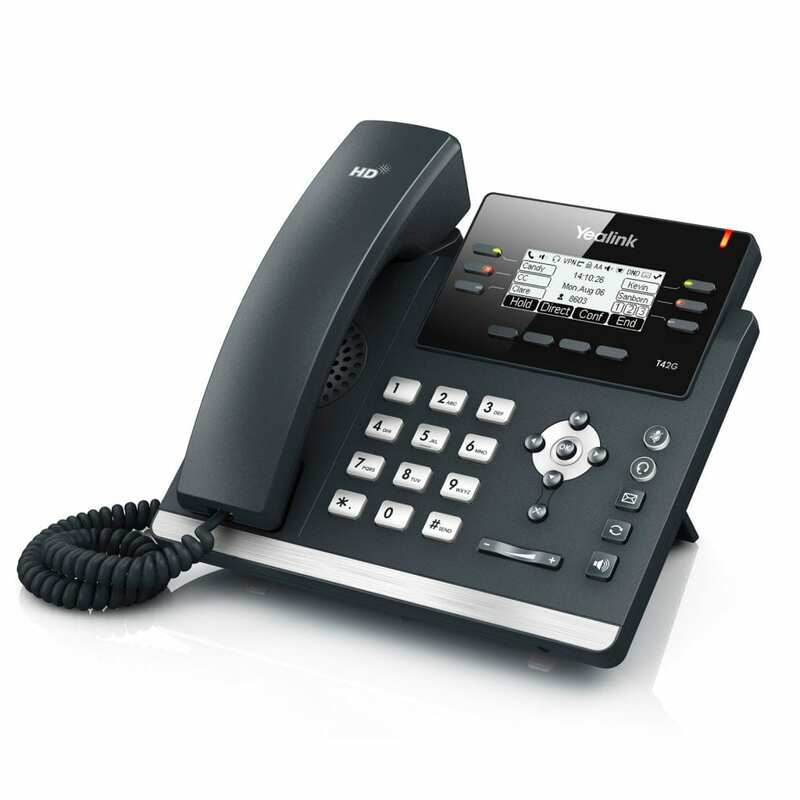 A fully-functional business phone, the SIP-T41P provides three lines and focuses on maximizing ease-of-use, in addition to providing a truly high-quality AV experience. The T41P navigates with programmable keys and is designed to support a wide range of productivity-enabling functionality. The phone also utilizes modern encryption protocols to ensure security (even within software updates and remote provisioning).